Winter sport is well and truly under way. For many of you (myself included) that means contact sport time of the year. This year my son is playing U10 AFL and proper tackling is upon us (eek). With the increase in age and size I have really noticed a step up in the amount and force of the contact (those tackles are packing a punch) and I know this will continue for years to come. As First Aid Trainer this year I know that I will be called onto the field more than last year, and that the and the risk for a more serious injury has increased. In fact, the other week a boy on the other team got a knock to the head and a concussion as part of normal play. This got me thinking… what should every parent know about head injuries on the sports field…. so, let me share some of that with you today. As parents we often “jolly along” our children on the sideline if they have what looks to be a minor injury…. “you’re ok, you’ll be right”. I think this partly comes from learning to downplay those minor tumbles that all children taketo avoid them over reacting. 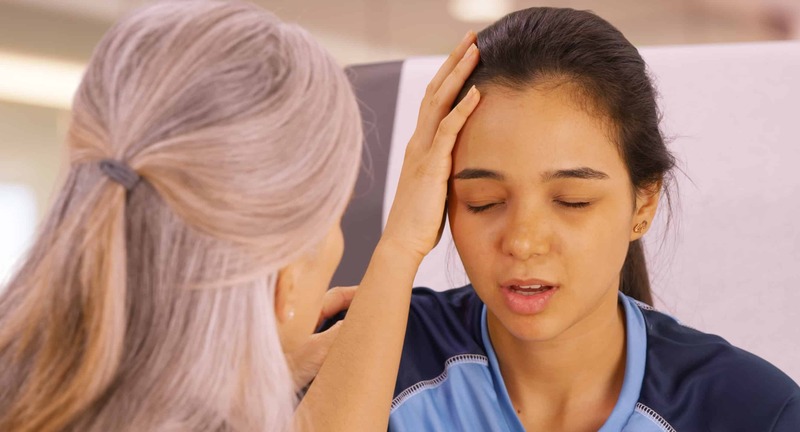 However, it is important to be aware that if your child has a knock to the head during a game they should NOT be allowed back on the field to play that day. This is because any subsequent knock can exacerbate the first knock which needs to be avoided to reduce the risk of concussion or a more serious head injury. You can help your coaches and first aid trainer by backing them on this policy. A head injury should be suspected if a knock to the head was witnessed, there is a loss of, or altered consciousness (no matter how brief), there is any bruising/bleeding on the head or if your child reports they have any pain/discomfort, dizziness, memory loss, unusual behaviour, nausea/vomiting (or any of the other symptoms listed in the provided link). It is important to give your child a moment to catch their breath and let you know how they are feeling so that you don’t hurry them back onto the field with a symptom of a head injury. The Australian Resuscitation Council’s guidelines state that all head injuries need to be medically assessed and an ambulance MUST be called for any loss of consciousness or altered consciousness no matter how brief. If your child shows any signs of a head injury during or after a game, please ensure they see a Dr for assessment. 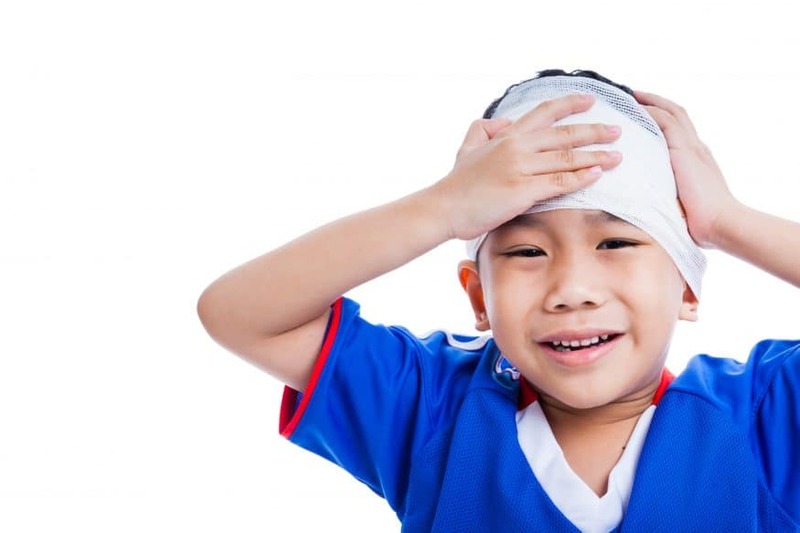 The Royal Children’s Hospital have a very useful head injury information sheet which provides practical information about what symptoms to watch for as well as how to care for your child at home once they have been medically cleared. I would encourage you to read it and it can be found here. It is also important to remember that after a head injury, any subsequent knock can make it worse (much like poking a bruise!). That means your child should avoid contact sports and have a graduated return to normal activities (especially sport) as advised by a Dr. More information on this can be found here. We know that repeated head injuries (even minor ones) can lead to long-term problems in some people. Help prevent them by explaining to your child how an unsafe tackle can lead to injuries. This will support your coaches as they teach how to perform a safe tackle. If our children are receiving consistent messages from people they respect they are more likely to follow them. Take a firm line, any knock to the head means your child does not return to the field, and any symptom of a head injury needs to be assessed. Most importantly, enjoy your weekend sport… here’s to a safe and hopefully head injury free season! My next community parent first aid course is on Sunday 19 August 2018. Click on the link below to book now! More details can be found on my website or Facebook page. Alternatively, if you would love to learn first aid with your child, remember I can come to your house and individualise a course to your family. Contact me now to arrange. I would love to hear from you.